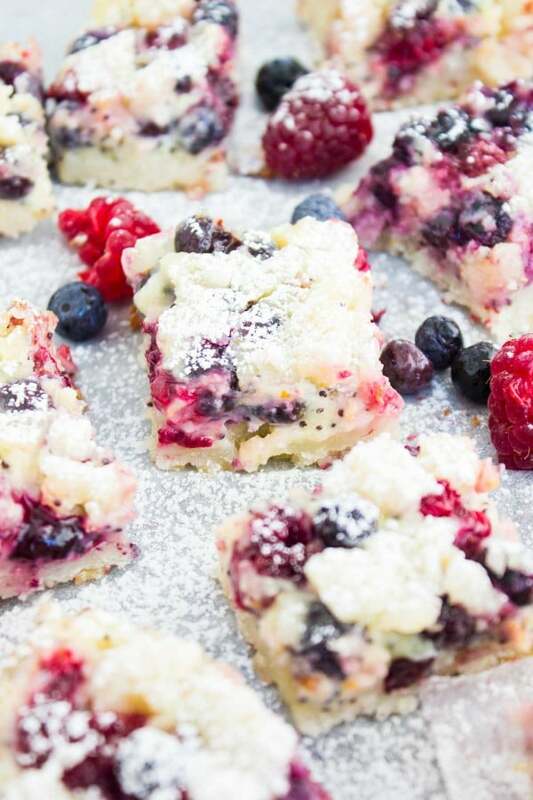 This berry citrus poppy seed bars recipe is a refreshing way to sweeten your day. Raspberries and blueberries are scattered on a thin layer of citrus cream cheese poppy seed filling and topped with cookie crumbles. I’m excited about these Berry Citrus Poppy Seed Bars—not only do they have a faint taste of my all time favorite mini raspberry cheesecakes , they also have poppy seeds and a citrus kick which freshens up the taste. 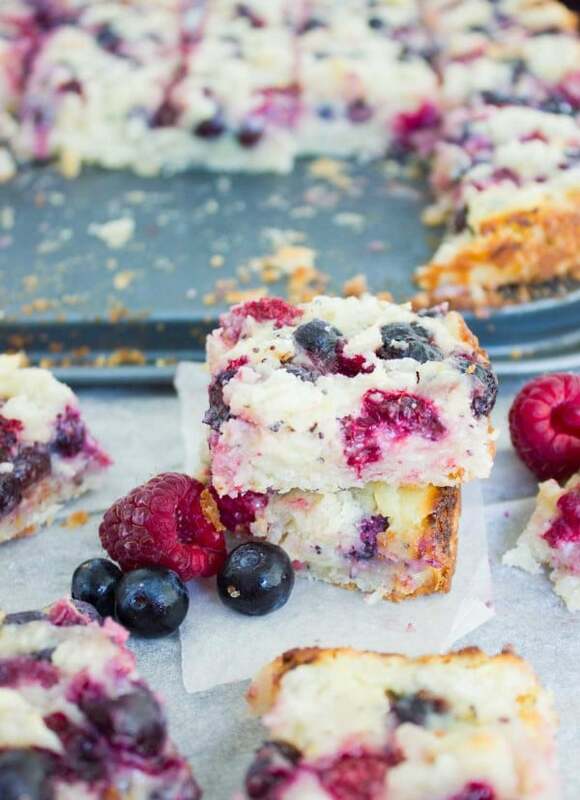 These summery cake bars are bursting with sweet berries and have an addictive buttery and crunchy cookie crumble topping. These Berry Citrus Poppy Seed Bars are lightly sweet, very citrusy, delicately crunchy from the poppy seeds and crumbles and absolutely loaded with berries! A quick treat to prepare and they stay fresh in the fridge for a few days! As simple as this recipe is, as perfect as it can be for many occasions—potluck, picnic, bbq, brunch, tea, and any day you crave a sweet treat. I made these Berry Citrus Poppy Seed Bars a few days ago for our building bbq party and it vanished before my eyes with most people coming in for seconds. 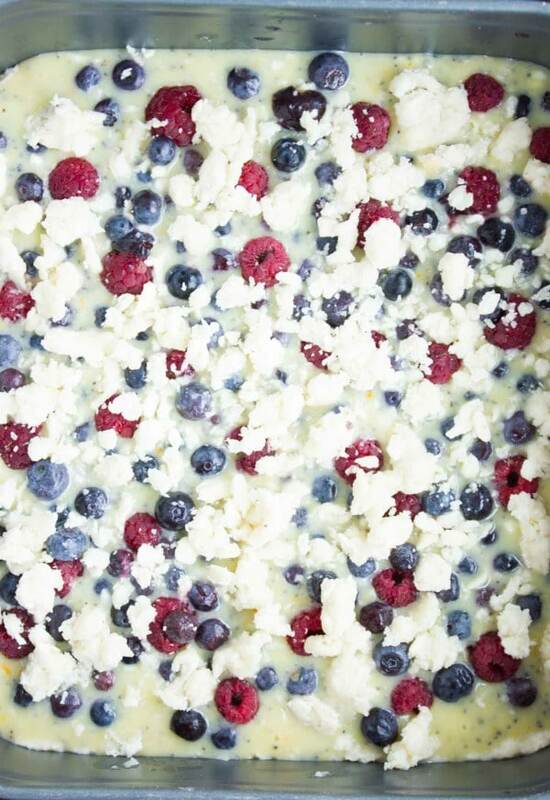 I love bars in general because they’re fruity, easy to eat on the go and make a great addition to any picnic basket. These Berry Citrus Poppy Seed Bars are special because they have a thin layer of citrus cream cheese poppy seed filling, which adds a touch of citrusy crunchy creaminess to the bars. 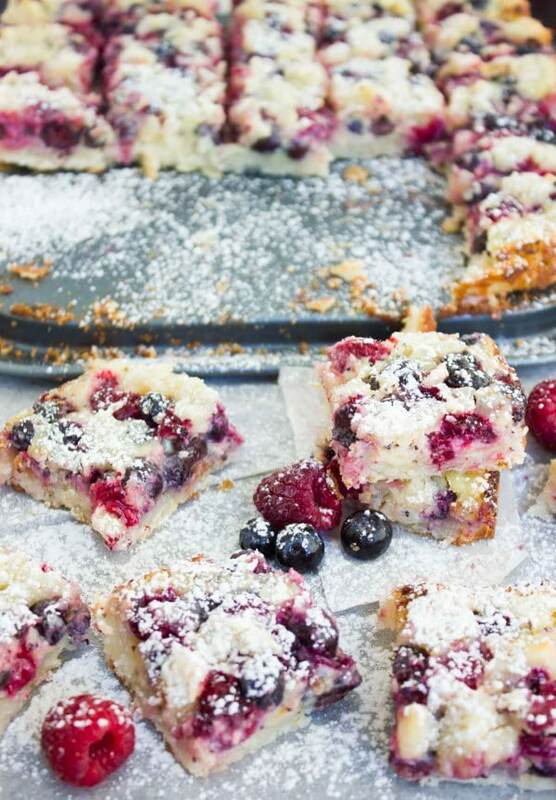 The crust for these Berry Citrus Poppy Seed Bars is as simple as can be. It’s made using plain cookies! Plus I like to crumble more cookies on the top. This step is completely optional. These easy poppy seed bars are such a fresh, summery treat. 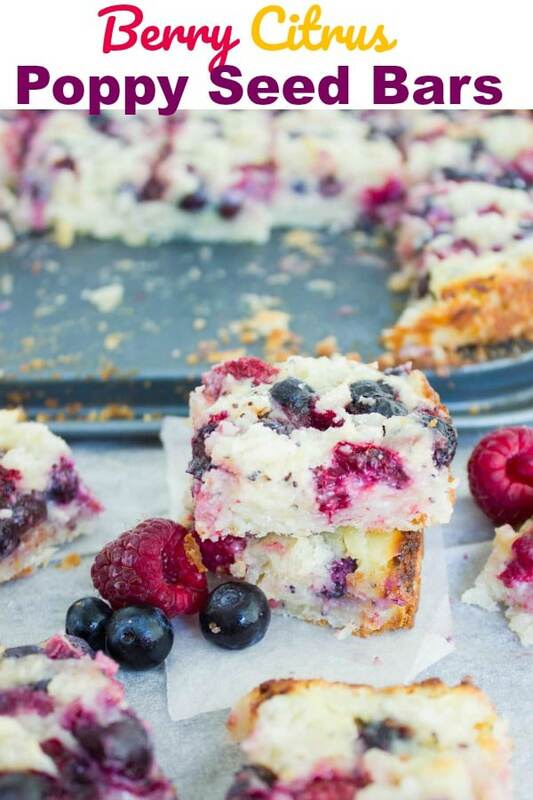 Just the perfect easy cake bar recipe to sweeten your day! If you feel those berry citrus poppy seed bars scream “baking nightmare” to you, let me tell you they’re quite the opposite of that, in fact, they’re very straightforward and use ingredients you probably have in your fridge right now. 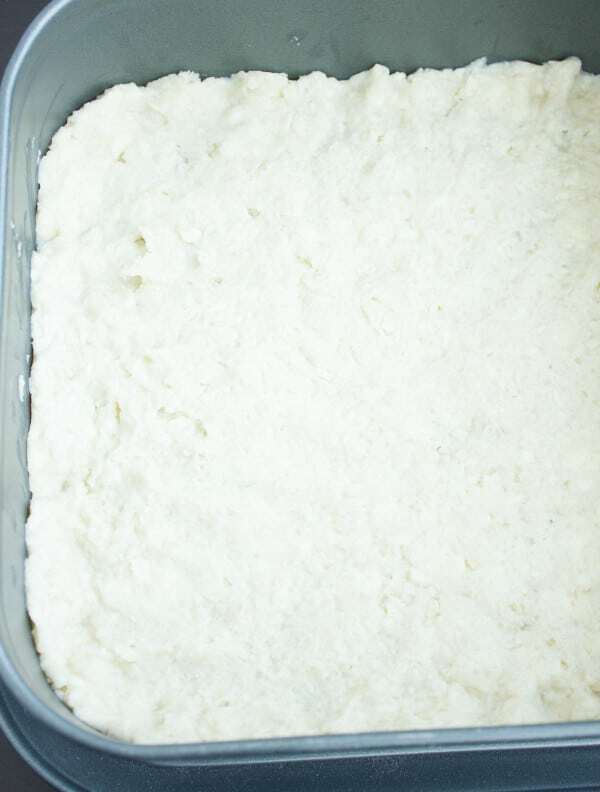 Take a 9-inch square springform pan and line the bottom with parchment paper. 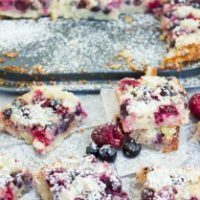 To make the base for these Berry Citrus Poppy Seed Bars, crumble the cookies and press them at the bottom of the pan, pressing them finely so as not have any filling seeping out. In a small bowl mix the cream cheese, citrus zest and juice, sugar, poppyseed and egg. Pour the cream cheese filling over the cookie layer and spread it lightly. Be careful not to mix the layers. 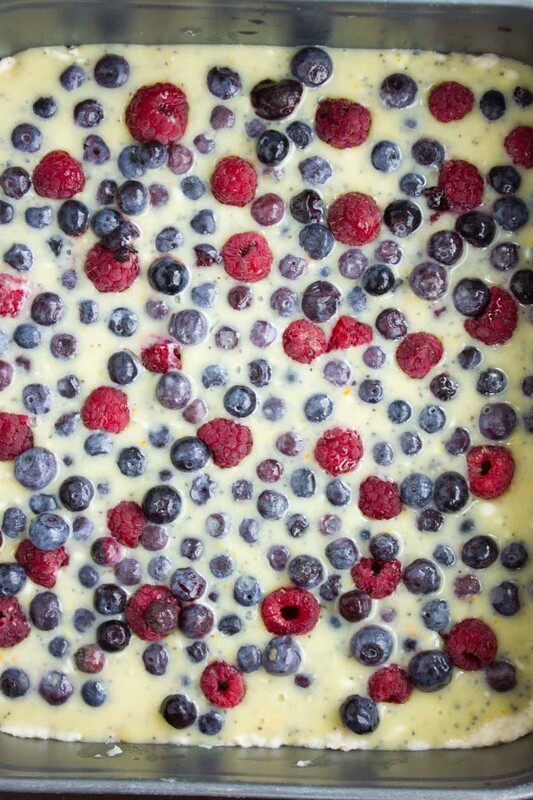 Top the cream cheese layer with the berries. 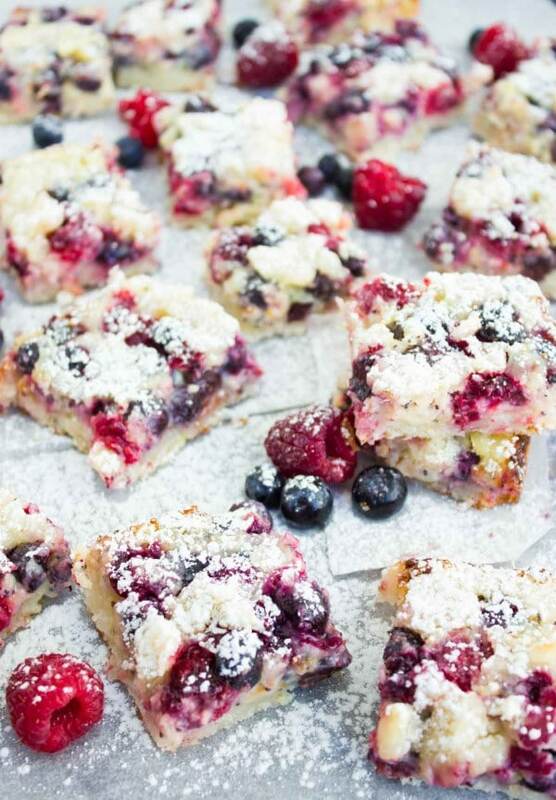 For extra crunch, scatter some more cookie crumbles on top of the mixed berries, if desired. 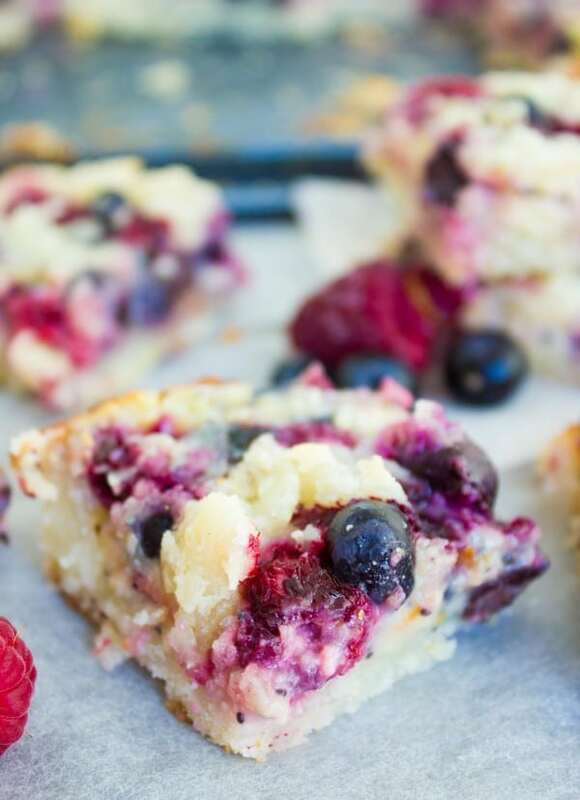 Bake your Berry Citrus Poppy Seed Bars for 30 minutes until the filling has set and edges are golden. Cool the baking pan on the counter, then chill the poppy seed bars in the fridge for 2 hours before cutting them into neat squares. Sprinkle them with confectioner’s sugar before serving! These Berry Citrus Poppy Seed Bars are best served cold or even a day or two later making them the perfect bar recipe to prepare in advance! 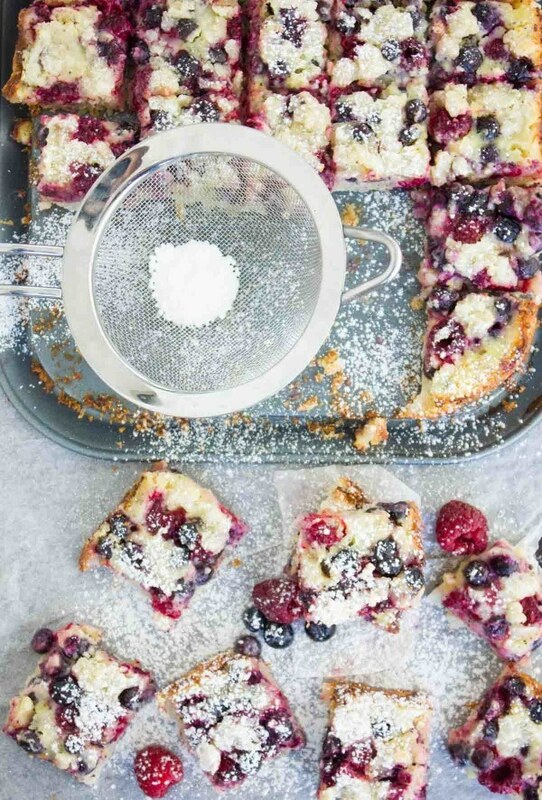 This recipe works with fresh or frozen berries. If using frozen berries, do not thaw them. Sprinkle some chopped nuts ( think pistachios or almonds) on top of your bars before baking to add extra crunch. Crumble the cookies and press them at the bottom of the pan, pressing them finely to prevent any filling from seeping out. In a small bowl mix the cream cheese, citrus zests and juices, sugar, poppy seeds and egg. Pour the cream cheese filling over the cookie layer and spread it lightly being careful not to mix the layers. Top with the berries and add extra cookie crumbles if desired. Bake for about 30 minutes until the filling has set and edges are golden. Cool the pan on the counter and in the fridge for 2 hours before cutting. Alternatively, chill them in the freezer for 30 minutes. Cut the bars into squares and dust them with confectioner’s sugar if desired.